We have done projects for fashion chains and public sector entities. Besides projects and full supply chain management we also offer receiving, customs clearance, storing, commissioning, order checking and delivery. All kinds of logistics services; heavy and bulk cargo, FCL and LCL shipments and associated activities such as secure parking and storage at own warehouses, stuffing and stripping at Gosselin container terminal, customs clearance distribution etc. Besides being an important moving company we are growing more and more in the logistics direction handling more than 75,000 cont./year and being active in forwarding, airfreight, customs clearance, trucking, etc. Since we are located in Antwerp, we can service the entire European continent. Trucking, ocean services and via air are all services we can provide including port handling and container stuffing. We are already handling some U.S. Government/Military equipment and supplies through various contracts with U.S. Government agencies. Specialists in fine arts logistics, pets, general cargo and project cargo. Astra International Moving & Shipping Inc.
We have been shipping commercial goods since our establishment in 1997. The two principals and owners have a combined commercial shipping experience of over 80 years. Klaus held logistics appointments all over the globe in ocean freight and air cargo (Toronto, Montreal, Saint John, NB, NY, London/UK, Luxemburg, Frankfurt, Johannesburg, Cape Town, Port Elizabeth, East London, Durban, Windhoek, Kuala Lumpur, Penang, Hong Kong, Vancouver BC. Company has more than 10 years of experience in freight forwarding, distribution, warehousing, project cargo, breakbulk. Experience in handling oil pipes on DDP/DDU basis from Asia to USA/Canada. FTL & LTL, intermodal logistics, expedited service, temperature controlled, dangerous goods, on line tracking, multiple terminals, ice road hauling, ground handling, air & sea forwarding, worldwide service & capability. We are covering inward and outward multi-modal transportation service between East and West bound of Transpacific services. UniGroup China’s key strength has been 3PL services, turnkey projects and retail logistics in China. Our domestic network spanned across China with transportation and warehousing solution enable us to respond to the needs of our key customers first tier to third tier cities in a timely manner. UniGroup is a member of the Chinese freight forwarder association and a registered NVOCC. UniGroup China is a Wholly Owned subsidiary of UniGroup Inc. UNITED Van Lines and Mayflower Van Lines are two of the most well known brands in the U.S. that Unigroup Inc. owns. The year 2007 marks the first attempt for UniGroup to expand into the Far East. We have 27 years of experience handling project cargo, general cargo and extra dimensional cargo. Export worldwide by sea, air and truck. Import services to Denmark, Customs clearance and experienced personnel. Custom Clearance for commercial shipments, handling at port, transportation to client warehouse, and unloading. We have moved furniture, machinery, bank equipment, wine, electrical generators, construction material, boats, automobiles, trucks, foods, gambling machines etc. INSA has 54 years of experience in moving, logistics and express services. We provide forwarding, shipping, customs clearance, warehousing, distribution services and international commerce guidance, project handling, packing and transportation. Project: Local paperwork, customs, transportation and delivery of electrical equipment and materials for the national electric Corporation INECEL / Integrated logistics for film productions in Ecuador for Warner Brothers, Castle Rock and Universal Pictures / Logistic for import, warehousing and delivery of all materials for the construction of the temple for the Church of Jesus Christ of LDS. We have agencies in all the ports in France. We are present in Toulouse and Paris. Our agencies have warehouses with means of handling and they are under customs. We have also an approval in customs. Our company works in the road transport in France and Europe and in the freighting. One of our activities business is the Ocean Freight Forwarding. Over 100 years experience in Commercial Freight, Export and Import Services, Fine Art and Exhibition, Trucking and Warehousing, Non-Residential Moving. More than 100 years experience in worldwide freight and logistics. Hartmann International provides the complete spectrum of the logistical supply chain, worldwide by land, air and sea: from customs clearance, interim storage up to on time distribution. Rosebrock maintains a successful Break Bulk/Logistics department with 15 employees and 60,000sq ft. warehouse space. Import and distribution of break bulk cargo from Far East to European destination. DeWitt, Guam has been a freight and delivery agent servicing foreign and domestic cargo for over 3 decades. Offering LCL, FCL and air freight business logistic services, including white glove service. Over 60 years of experience in areas of commercial freight forwarding, project cargo, oversize, overweight cargo, exhibition goods, customs brokerage. We handle shipments from any country to India, vice versa and third country logistics. Being members of WWPC Network for more than 5 years, we have grown up from Removal, Customshouse Broker company to full freight and logistics company. We also work in ocean freight, air freight, and warehousing of commercial shipments on a global basis. End2End Logistics Global Pvt. Ltd.
End2End provides custom made total logistics solutions (point of origin to final destination) for both inbound and outbound, SEA and AIR shipments. Experienced in a wide range of commodities like Foodstuffs, Processed Foods, Automotive Components, Machinery, Furniture etc. Our broad base in India, allows us to offer you truly pan-India services. We are currently providing complete logistics solutions to US corporate companies from India with single buyer consolidations. 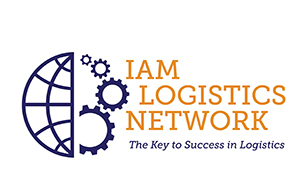 Internationally providing logistics services from/to India for a global network of associates. ILN POC: Venu Gopal G.
We handle non-residential moving (offices), warehousing, industrial machine packing and HAZMAT (DG) packing. ISO 9001:2008 Certified for office moves, we have been active for 15 years. We have handled office moves for major I.T. companies all over India. We pack machines for Sea and Air shipments up to 25 Tonnes weight. We provide HAZMAT packing for Air shipments. Company has experience of more than 13 years in field of freight forwarding, warehousing, ODC cargo, break bulk. Omtrans also specializes in handling steel pipes on DDP/DDU basis and handling 4000 mt/month and delivery to USA buyers. We are in business for over 27 years and have our own 12 full service facilities in India. 20 years of relocation and logistics experience in Rome, Italy and Bruxelles, Belgium. Set-up of exhibition booths, including import clearance of products and on-site set-up, transportation & export clearance of construction machineries; bonded storage, export clearance and cargo ship loading of oil & gas pipelines. Globalink Logistics Group is an international freight forwarding and project logistics service provider specializing in the movement of cargo via sea, road, rail, and air. Globalink Logistics Group provides freight forwarding and project logistics service in the CIS, Middle East, China and UAE. Ahjin Transportation has been successfully provide the top-quality services available in the transportation industry for over twenty years. Minat El Hosn - El Emir Omar Str. - Hammoud Bldg. - 4th Flr. Since 1994, we facilitate worldwide freight operations, commercial, project cargo, and aviation parts, using several shipping modes through coordinating with elite agent to ensure high quality service at a reasonable pricing thus achieving maximum customer satisfaction. We move on daily basis cargo whether by air, ocean or land from over 200 stations around the world through our global partner networks. Pet Relocation, warehousing and distribution locally, office and hotel moves, air/sea/land forwarding, relocation of fine arts, commercial shipments, custom broker services. Warehousing and distribution locally of shipments coming from the USA, air/sea/land forwarding, pet relocation, fine arts, commercial shipments. Universal Express Relocations Sp. Zo.o. Export and import LCL and FCL transportation of commercial goods. Import and Export customs procedures of commercial goods in Russia. Certification of goods. Regular LCL shipments from the following consolidation warehouses (Hamburg, London, Hamina/Kotka, Milano, Antwerp, Shanghai,Shenzhen, Riga) to Moscow and further on-deliveries to CIS countries, assistance in import and export customs clearance procedures. Freight forwarding, animal transport, export & import services, trucking, warehousing, supply chain management since 2004. Handling commercial goods from Cincinnati where we have a hub to Senegal, from China where we have a purchasing central to Senegal and from the rest of the world via our partnerships. Office move, trade shows, orchestra touring. We do office moves, handle shows, etc. with Spain and within Europe. We have extensive experience, since 1957, in the following fields: export/import services, fine art services, warehousing and trucking, office moving, records and archival storage. We’re handling services, both locally and internationally, for International Organizations, U.S. government and military, global corporation and industries. Secured storage warehouse. Fine art packing for clients that require personal service. Third party service such as re-assembly of specific furniture that need specialized crew. All kinds of handyman services. Moving freight handling for third country moves and pet transport. 100 years of experience in logistics with own warehouses (300,000 square meters) own trucks, terminals, and dedicated project teams. IFL was formed as Logistics Company in Dubai in 2003, today it has expanded to Abu Dhabi, Jebel Ali and warehouses in Dubai. Our expertise includes, Freight Forwarding, Cross Trade, Consolidation, Projects Exhibitions, Yachts & Boats handling, local & international relocations. Air, Sea Imports and exports through established network partners representing over 90 countries, including USA, IFL can give tailor made Logistics solutions to dedicated customers. IFL also provides overland. Bournes provide project management and fulfillment services including warehousing, transportation and inside delivery, installation and assembly for retail projects, trade show and exhibitions, high value and medical equipment and IT and communications equipment. Steward Harvey & Woodbridge Ltd. Established in 1857, E.W. Taylor is one of the UK’s leading customs clearance agents with a duty deferment facility and offers worldwide freight forwarding solutions and warehousing and distribution services throughout the UK. Since its inception, E.W.Taylor has built up a reputation for delivering 1st class logistic solutions worldwide. Much of the cargo E.W.Taylor handles into the UK is through its Felixstowe office and originates in Asia, and both, North and South America. E.W.Taylor’s experience lies in the movement of both containers and break bulk cargo and it is this experience that enables us to offer our customers a personalised service in the most cost effective manner. Our forwarding service covers the world over and our partners mirror our commitment to achieving exceptional service levels. It is these service levels that sets us apart from other forwarders. Live animals (household pets) air cargo shipments for relocating families nationwide worldwide since 1977. Air Animal is a long established and well recognized provider of pet moving services to relocation management companies, household goods movers and multinational corporations. 25 years of offering LCL & FCL ocean services from CONUS U.S. to Hawaii, Guam and Alaska. USDOT Licensed general commodity freight forwarder and MC Broker. 107 year old company with 25 years experience in international logistics. 110,000 square foot warehouse, 6 miles from UPS Worldport logistics hub. Domestic and international warehousing and distribution; LTL, TL, trade shows and electronics. Warehousing, distribution, LCL, FCL, trucking. Domestic and International transportation. Atlas has global involvement in supply chain logistics for store fixtures, hotel furnishings, lab/medical equipment, and oversized break-bulk cargo projects. Handling logistics shipments in and out of the U.S.
Have handled several commercial imports/exports and trade shows in the U.S. and overseas. Customs Broker, Export Freight Forwarder, Domestic Freight Broker. Providing transportation arrangements for export shipments. Providing customs clearance and delivery for import shipments. Cartwright Logistics, a division of Cartwright Intl, was founded in 1983 to provide full transportation service to corporations, government agencies, and DOD worldwide. Crown Moving Company is an agent for Mayflower Transit, United Van Lines, & Unigroup Worldwide Logistics. Services include; transportation (land, sea, air), warehousing, distribution, kitting, packing, crating, and a worldwide family network of 1325 agents. Crown has a long history of handling high value shipments for electronics, fixtures, and displays both domestic USA and internationally. We warehouse, merge in-transit, and provide transportation services and inventory management. Our Software solutions enable secure, real-time data transfer and communication and automate key aspects of the supply chain management process, sales, tracking, warehousing and distribution. Development and/or implementation of technology solutions for port authorities and transportation companies. ELS is a non asset based 3rd party logistics provider. We offer T/L, LTL blanket wrap services for special commodities along with inventory management and warehousing & distribution services. Complete logistics services Worldwide & Domestic. Plant Relocations, Specialized Crating & Hauling. Relocated complete PEPSICO Plant from NY to Atlacomulco, Mexico. Provided complete logistic service for Sun Oil NAFTA Plant Addition in Puerto Rico. Numerous other projects, both domestically and Internationally. Fry-Wagner is a logistics services company that can take any project–small or large– with the toughest logistical challenges and get it there on time and within budget. Over the years we’ve mastered the skills, equipment and details it takes to be a leading logistics services solution provider. Graebel Logistics Management provides domestic & international cargo service for all modes transportation. Capabilities include 3&4PL services, warehousing, distribution, general cargo, special commodities, fine arts, tradeshows, project cargo, pharmaceuticals and commercial & workplace services. Graebal operates 40 warehousing centers across the U.S., plus regional service centers in Prague, Singapore, & Shanghai. Experience ranges from US warehousing, distribution, and transportation of all commodities. Gridiron is a FMC licensed Freight Forwarder & NVOCC, experienced in the transportation & logistics of project cargo, vehicles, equipment, boats, animals, consumer commodities, refrigerated cargo, and freight of all kinds. Gridiron has experience in managing the logistics of various projects and single shipments of all kinds domestically in the U.S., as well as internationally. We utilize all modes of transportation, and have the experience, knowledge, and staff to tackle any project regardless of size, commodity, or schedule. Interstate has been in the domestic and international logistics industry for nearly 20 years servicing a wide array of client requirements from large general cargo/industrial heavy lift projects to smaller warehousing and distribution services associated with both US Civilian Government agencies as well as commercial clients. Interstate has been actively involved in IO&T projects for both US and foreign government agencies as well as commercial clients providing IO&T (Initial Outfitting and Transition) services throughout the US on many projects in both the healthcare and hospitality industries. Additionally, Interstate has held key US Government and Civilian contracts for the imaging, warehousing and distribution of sensitive equipment with an unprecedented level of quality service for the past 12 years exceeding our clients documented expectations. Similarly, Interstate arranges international forwarding and distribution services for other major fortune 100 technology companies and their global logistics solutions. Kinetix provides logistics solutions for commercial, government and military commodities, including project, hazardous and general cargo. Kinetix offers all-inclusive services, including material inventory, packing, container loading, and export license assistance. Kinetix staff have experience transporting dangerous goods (of all classes, including explosives and radioactive), OOG and project cargo for power plants and refineries as well as military, technology relief aid and education projects both domestically and globally. Logistics for Luxury, Inc. manages the flow of luxury products to final receipient. Our speciality is furniture, antiques, large consolidations requiring white glove in house service both domestic and internationally in over 90 countries. Logix Transportation is a specialized, asset-based carrier, operating 53-ft full logistics air-ride trailers with tuck-under heavy duty liftgates. Drivers are experienced in handling sensitive high value equipment requiring special handling and inside delivery. Logix Transportation specializes in moving industrial equipment, specialized machinery, medical equipment, high value products, museum artwork and relics, tradeshows, store fixtures and displays. We handle hotel projects, bank projects and office projects. We are a full service moving and storage company. We have a dedicated crew and facility for these types of projects. We have dedicated crew members and facility to handle special projects. We have managed projects such as hotel and office renovations. We have ongoing electronic and banking accounts that we have had for over 11 years. Worldwide household goods transportation service provider. Office and New Products specialized cargo transportation. IATA Air Freight Forwarder, FMC OTI/NVOCC-LCL and FCL Inbound and Outbound. Currently Handling Air and Ocean Shipments from and to the USA for general commodities and household goods. Nilson Van & Storage specializes in warehousing and distribution services, hotel installs, liquidation services, first mile pickups, last mile deliveries, freight transportation, and office relocations. We have warehoused and delivered for several hotel chains: Westin, Marriott, Hyatt, & Hampton Inn. We complete dozens of office relocations every year. Examples: SC Library for the Blind, NY Life Insurance, and we have relocated several schools. We are also the go-to agent at all of our locations for first mile p/u’s and final mile deliveries. Examples: new furniture, mattresses, medical equipment, restaurant equipment, etc. Our company provides LTL and Truck services for the CONUS. Our niche is the Crated Household Good Market but we service other industries e.g., clothing, school supplies and specialty tools and wood products. Third party logistics provider that focuses on livehaul within the CONUS, specializing LTL and Truckloads. Int’l packing, shipping by air, sea and road, freight forwarding, logistics, customs clearance, warehousing and storage, office moving, record storage, project management. Logistics project management worldwide for corporate and government clients, focus on developing world, conflict zones and emerging markets. Founded in 1998, as a privately held N.V.O.C.C. and Global Logistics company, S.E.A crop specializes in WW ocean exports. Our highly trained team takes pride in providing clients with attentive shipment details and market information. S.E.A. Corp offers LCL, FCL, break-bulk, and special equipment services as well as offering U.S. flag service and air freight options. For your convenience, we service any door location in the USA and ship to all major ports across the globe. A full service Logistics company handling international and domestic freight forwarding, automated container warehousing, distribution, bar code asset management, customs clearance heavy haul trucking, record storage, fulfillment, shredding, office and industrial moving. Experts in Worldwide Airfreight/NVOCC, Project Cargo, 60 Trucks for USA Heavy Haul Permit Load Trucking, Automated Container Warehousing working with overseas affiliates for door to door total logistics services. Working with Government and Commercial customers in Purchase order fulfillment, distribution, O&I, Archiving/Shredding. US Customs Bonded facility with TSA Designated Screening Facility with Airfreight X-ray and ETD on site. A customized full service logistics company handling all international and domestic freight forwarding needs, like but not limited to, distribution, heavy/oversized haul transport, office and industrial moving. Special General Cargo Division of Stevens International has been operating as such for over 10 years. We do customs clearance & freight forwarding and we also have our own fleet of trucks for FCL & LCL cargo. We currently handle general freight & tradeshow goods worldwide. Transportation, warehousing and logistics service provider for 26 years. Certified NWBOC Woman Owned Business. 7 locations nationwide. Fleet of 200+ available for van, flatbed, and intermodal moves. Tri Star Freight System has an active role in supply chain solutions such as national retailer remodels and professional sporting event coordination using our dynamic system of drivers and partners. UniGroup Logistics is a division of United Van Lines and is an international forwarding customs brokerage and NVOCC. Most of our service outside of HHGS is perishable products and hard line manufactured goods. We focus on import and export by ocean, air and overland on hard line cargo products and perishable goods to/from China, to/from Europe and to/from Australia/New Zealand. Aero Mayflower is a division of UniGroup Worldwide and is an international forwarder, customs brokerage and NVOCC. Most of our services outside of HHGS are perishable products and hard line manufactured goods. White Glove specializes in warehousing, transportation and physical distribution of high-end new furniture, art and antiques. White Glove provides storage, redistribution, consolidations, specialized handling and transportation to any place in the world for designers, dealers and high-end furniture vendors.